As a business owner, you know that dirty uniforms, table linens and other fabrics can pile up quickly. We know that you have a lot on your plate, that’s why we are here to help with your commercial laundry needs. 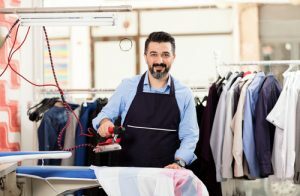 Let’s take a look at a few advantages associated with using the expert commercial laundry services at SoapBox Laundry. Many small businesses consider purchasing their own washer and dryer. While you may think this will save you money in the long run, it actually adds to your expenses. First, the initial cost of a washer and dryer is not cheap. They also require ongoing service, as even the highest quality items can break down or malfunction. In addition to the equipment costs, your utility bill will also rise if you are handling your commercial laundry internally. You want your business to be represented in a clean, professional manner. That is where a professional laundry service comes into play. We have the tools and expertise necessary to eliminate stains and keep your uniforms and linens looking fresh and clean. One common misconception about commercial laundry is that it only benefits large businesses. However, the benefits of a commercial laundry service apply to both large and small businesses. At the end of the day, all businesses aim to be more efficient. From lower costs to having more time to focus on operational concerns, a commercial laundry service can benefit business of all sizes. Whether you work in the healthcare or hospitality industry (or any other industry that requires you to do a lot of laundry! ), a commercial laundry service will make your day-to-day life at work so much easier. At SoapBox Laundry, our Wash/Dry/Fold Pick-Up and Drop-Off Services ensure that your laundry needs are being met. Plus, we provide services that can be utilized 24-hours a day, 7 days a week! Contact us today so we can get started! Went to have bedspreads done, several new large machines and they’re open 24 hours!!! Very clean, bright and great staff, very helpful. In a great area with restaurants and stores close by. Great place to do laundry with fair prices. Very clean and helpful staff. Lots of new equipment. Fair priced. Very clean facility with friendly staff! 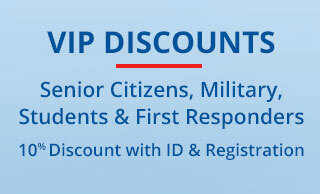 There is also a spacious parking lot which is very customer friendly. There is always an attendant in store, which is something you don't see everywhere! I hadn’t been to this laundromat in a while but went this past weekend. It was kind of dumpy before but I think they got new owners. What a difference! The place is clean and bright with a lot of new machines. The staff is nice and helpful. I will definitely be back! Love the services at Soapbox. I can drop off my laundry and pick up the same day. Also have dry cleaning available and alterations. The shopping center overall is a one stop shop with plenty of parking! I highly recommend Soapbox! What a find! Clean, bright & friendly atmosphere-I no longer dread trips to the laundromat. Highly recommended. Stay informed, and be the first to know about Specials at Soapbox Laundry!